The Alexander Noble House was built in 1875 on land purchased from Asa Thorp, the founder of the Village of Fish Creek. This Greek Revival Style-influenced resi­dence is the Village's oldest existing dwelling still in its original location. 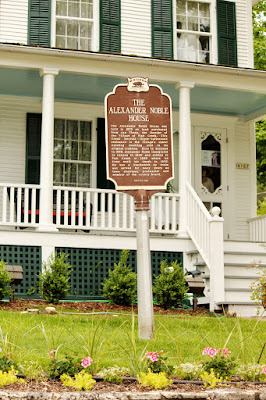 Born in Scotland in 1829, Alexander Noble immigrated to Canada in 1840 and settled in Fish Creek in 1855 where he lived until his death in 1905. 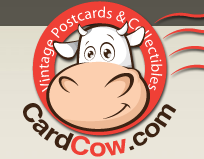 He was a blacksmith by trade and served for many years as town chairman, postmaster and member of the county board. 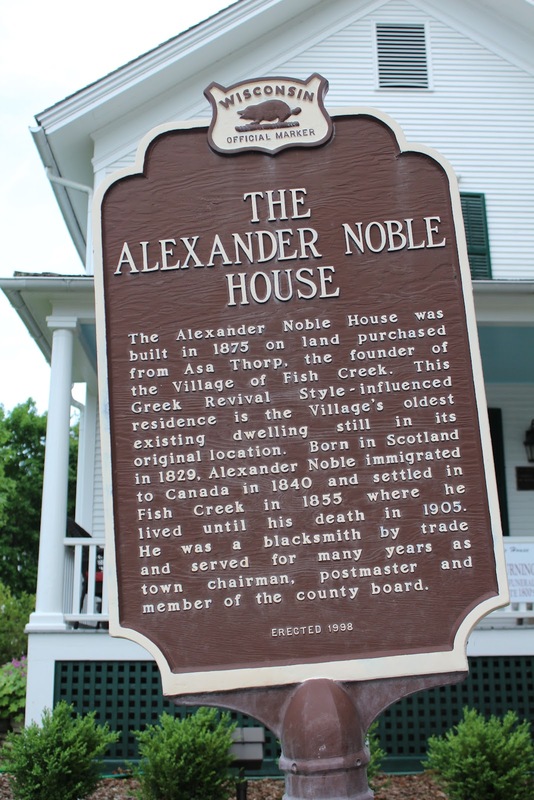 The Alexander Noble House is located 4167 Main Street (State Highway 42), at its intersection with Spruce Street (where all the Door County traffic jams up and comes to a grinding halt), Fish Creek, Wisconsin 54212. 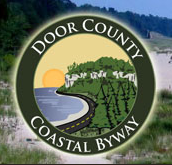 This part of Door County reminds me so much of my beloved river towns of the "Historic Hudson Valley" in Westchester County, New York -- right down to the traffic jams of weekend tourists! The gridlock was so bad at Fish Creek when I arrived mid-afternoon, that I turned around and headed back home. But then, what did I expect on a gorgeous Saturday during a Labor Day weekend?? 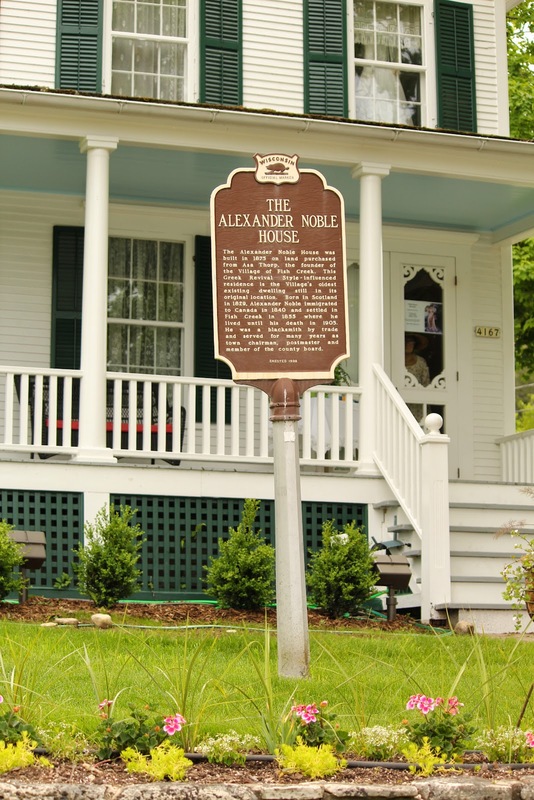 See also, Historic Alexander Noble House (1875) and Fish Creek, Door County, Wisconsin, also at this location.